We are a Affordable and reliable Heating & Air Conditioning Repair Contractor committed to keeping you comfortable. We Serving the Rockford IL, South Beloit IL, Roscoe IL Area for Over 30 Years! We Offer Many Services to meet your Needs. For more than 30 years Affordable Heating and Air Conditioning has continued our strong commitment to making customers happy and comfortable. Our A+ evaluation with the Better Business Bureau demonstrates the superior quality of service we provide. Affordable Heating and Air Conditioning is a well-known and trusted name in the Rockford, Illinois area. Our outstanding dedication to service and standard of excellence speaks for itself. Affordable Heating & Air Conditioning is licensed and insured for your safety. We also are available for 24 hour emergency service seven days a week. We are here when you need us! We are always prepared to send a trained, qualified and experienced technician for repair service, maintenance, or to install your heating system, air conditioning system, humidifier or boiler. We are an authorized installation and maintenance provider and a dealer for multiple manufacturers. We offer a wide selection of products and services. Find out how we can help with all of your home comfort needs. 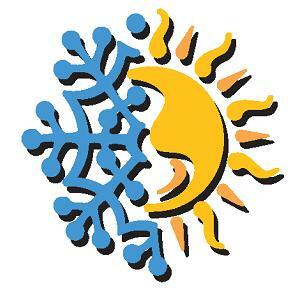 For a free estimate call Affordable Heating & Air Conditioning today at 815-669-4099 to schedule an appointment.